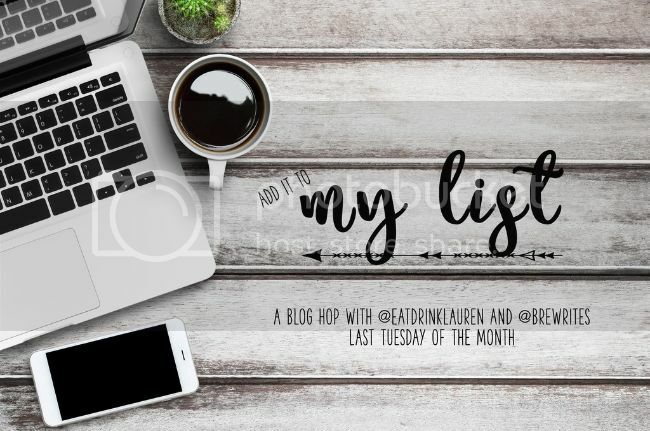 I'm trying out something new this month and joining Lauren and Bre for their 'Add It To My List' link up for the first time. I don't know how I just discovered this now considering it was created a couple of months ago but I'm sure its going to be one of my go-to's from now on! Beauty and the Beast I probably don't even need to tell y'all this because from what I've seen around the interwebs everyone else loved it just as much as I did. BUT just in case you have yet to see it: run, don't walk, to your nearest movie theatre and watch it! Town House Flatbread Sea Salt & Olive Oil crackers Erin mentioned these in a post awhile back and I snagged some while I was in Target the last time I went to visit MN (so back at the beginning of Feb) to give them a whirl. The box lasted approximately .235 seconds and I've been not so patiently waiting for my next trip to visit MN so I can get my hands on some more (and to see him too...). The next time I buy them I won't just limit myself to one box! Party Like A Pineapple plate Purchased from (you won't believe it) Wal-Mart. Yes, Wal-Mart. I was cruising through the store in 'the city' last week, on a mission to pick up some last minute things for the baby shower on Saturday, and I stopped in my tracks when I went past the Summer party aisle (that's what I call it anyways) and had to back up because the plate caught my eye and I had to get a closer look. There were SO many cute pineapple things - coasters, plates, cups - but I only allowed myself to get the plate (for now. I'm sure the others will find their way into my cart somehow...). I can't wait to use it all.Summer.long! Walmart has such cute items in that line! I was drooling over all the pineapple things - so cute! I saw Beauty and the Beast on Sunday and I LOVED it. I kind of want to see it again!! That plate is adorable. oh my gosh that plate is hilarious. i really loved beauty and the beast and want to see it again! that's a happy plate. i dig it.